Hi friends! I’m back today with some of my favorite things from this week. It has been a week of shopping (hi Prime Day and #NSale) and ridiculously humid weather. How has your week been? Unless you have been living under a rock, you know that the Nordstrom Anniversary Sale has started. There are all sorts of pretty things available. I’ll be back soon with a bigger roundup but these are some of my favorites so far! Sometimes I feel like my summer closet is a bit of a mess. I’ve got a bunch of dresses but don’t always have separates that play well together. I really like the capsule wardrobe Audrey from Putting Me Together has. It’s a good mix of fun pieces and basics. I’ll be looking at this when I go through my closet soon! I love watermelon and I love margaritas. So this recipe from Certified Pastry Aficionado has me drooling. Woohoo for Friday! Love these Friday Loves. Especially the margs 😉 Thanks for featuring my recipe! You are welcome! It looks so good and I can’t wait to try it! 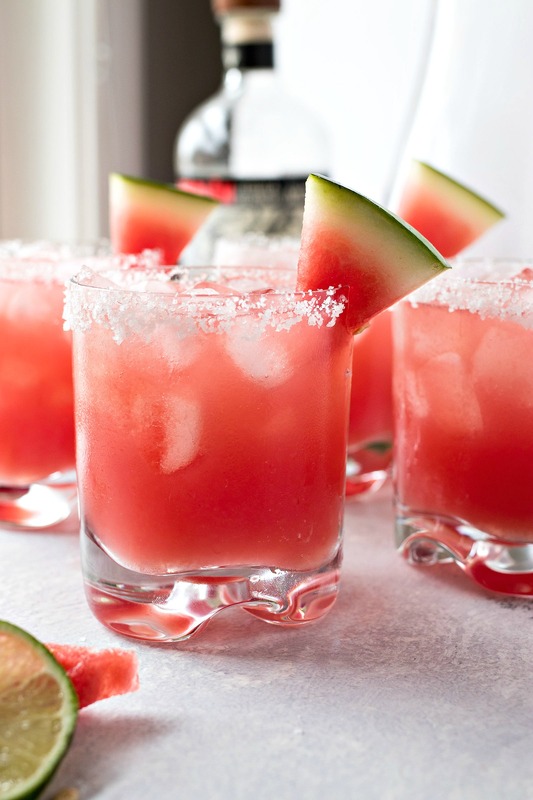 Ahhhhhh, watermelon margaritas sound so good !